And it came to pass in those days that there went out a decree from Caesar Augustus, that the entire world should be taxed… And all went to be taxed every one into his own city. And Joseph also went up from Galilee, out of the city of Nazareth, into Judea, unto the City of David, which is called Bethlehem (because he was of the house and lineage of David), to be taxed with Mary his espoused wife, being great with child. And so it was that, while they were there, the days were accomplished that she should be delivered. And she brought forth her firstborn son, and wrapped him in swaddling clothes, and laid him in a manger; because there was no room for them in the inn. Now, more than 2000 years after the historic journey of Joseph and Mary, the modern city of Bethlehem invites you to make a symbolic and historic journey by walking Palestine’s Nativity Trail. This walking trail was originally inaugurated in 1999. However, the route has been recently researched again and modified to suit the new changes on the ground. Walking the Nativity Trail will be an opportunity to meet a diverse range of people: Franciscan priests on Mount Tabor, Muslim clerics at village mosques, Greek Orthodox monks in desert monasteries, hillside farmers and their families, small-town shopkeepers and craftspeople, Bedouin shepherds watering their flocks at ancient cisterns, and many more interesting people. 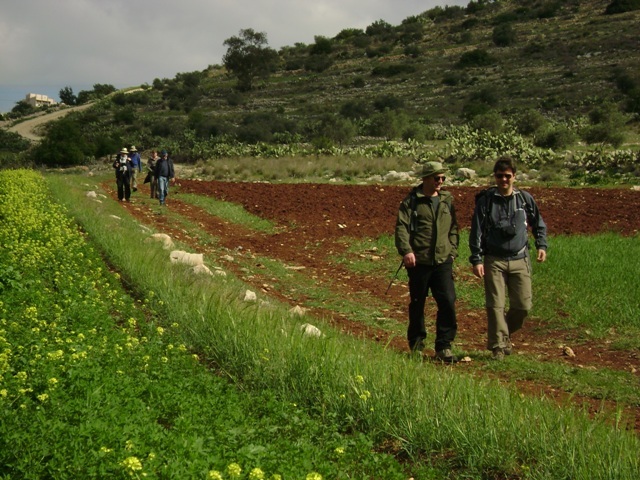 The Nativity Trail is an opportunity to understand the geopolitical situation in the Holy Land by observing it while walking through the valleys and mountains of Palestine. It gives the participants the chance to have a first hand experience of the situation on the ground. The Nativity Trial is not just a trip; it is a journey of dialogue, openness and interaction with new people. Participants will be able to understand the flora and fauna of Palestine and the Bible, and will be able to embrace the culture that lasted in Palestine for thousands of years. 1How long is the journey? The entire Nativity Trail is about 160 kilometers long; the journey will last 11 days. 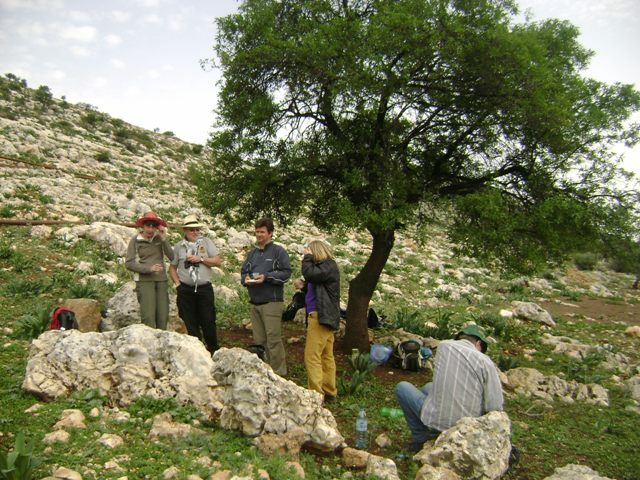 The Nativity Trail offers a unique opportunity to experience the legendary hospitality of Palestinians. Some nights, hikers will stay in villagers’ homes. Other nights, accommodations will be in monasteries, local bed-and-breakfasts, bedouin tents, or at campsites where hikers can pitch their own tents or sleep under the stars. In all cases, the welcome will be warm though living conditions are basic. 3What kind of terrain does the Trail cover? 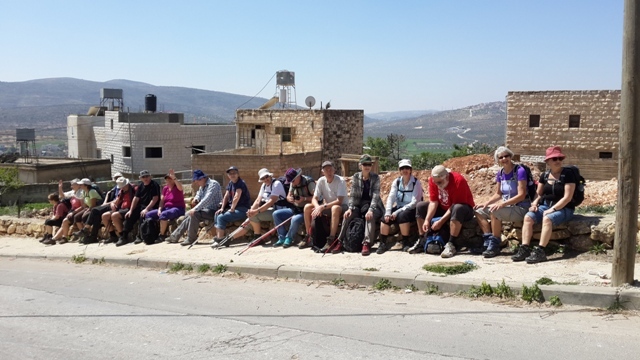 Just like travelers in biblical times, hikers will be traversing beautiful but sometimes rough terrain, climbing up and down steep, rocky hillsides, crossing desert wadis (valleys) – and pausing to rest in olive groves! The journeys will be led by professional local guides. 6What about health and safety? Please Note: Journey segments and distances are approximate. ATG and Siraj have the right to amend the programme. 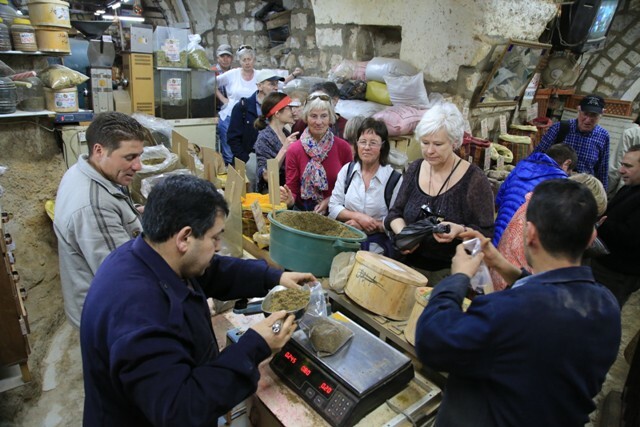 A tour of Nazareth including the Church of the Annunciation and the house of Mary, drive to the foot of Mount Tabor. 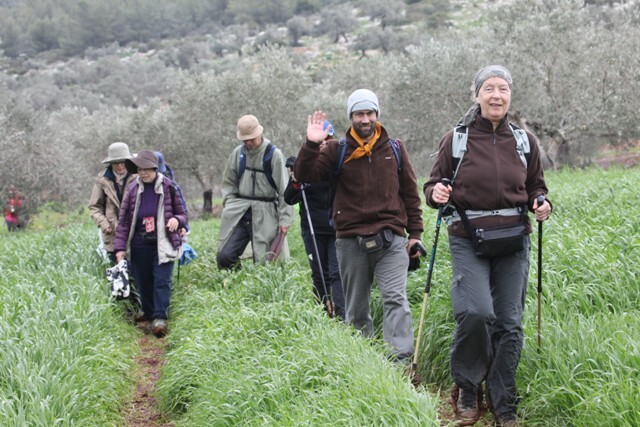 Ascend Tabor and visit the monastery of the Transfiguration. 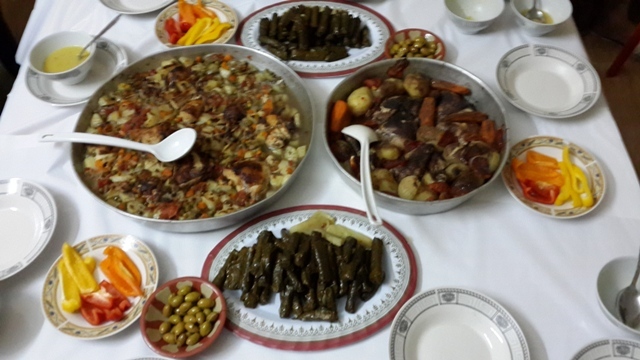 Dinner and overnight in Jenin, a city north of the West Bank. Early morning, drive to the village of Faqua. Start walking towards Zababdeh. 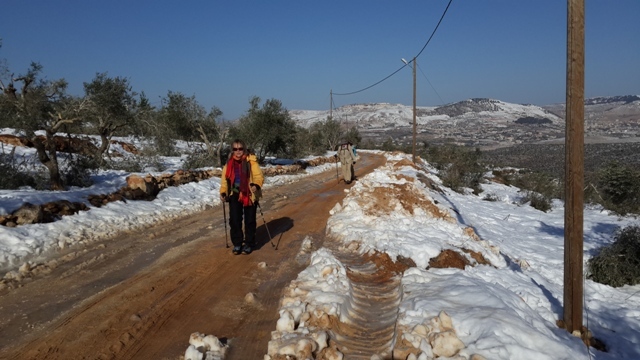 Across the rolling Eastern hills of Palestine, through the village of Jalbun and Mughayir to Zababdeh, a Christian town on the ancient Roman trade route. Overnight accommodation in Zababdeh. Through olive groves and forests on the fertile hills of the West Bank, descending to the spring of Ain Fara’a. Walk through the vegetable basket of Palestine. Arrive to Fara’a, visit the archaeological sites of Jacob and his family. Dinner and overnight with local families. Walk through the orange groves to the broad sweep of Wadi Bidan, a picturesque valley system rich in mountain springs. While in Nablus, we will visit Jacob’s well and Tel Balata. After checking into our hotel in the old city of Nablus, we will tour the old city and enjoy bathing in the Turkish Bath. We will enjoy a traditional Palestinian meal at the Turkish bath in addition to traditional Palestinian music. Overnight: in the old city of Nablus. 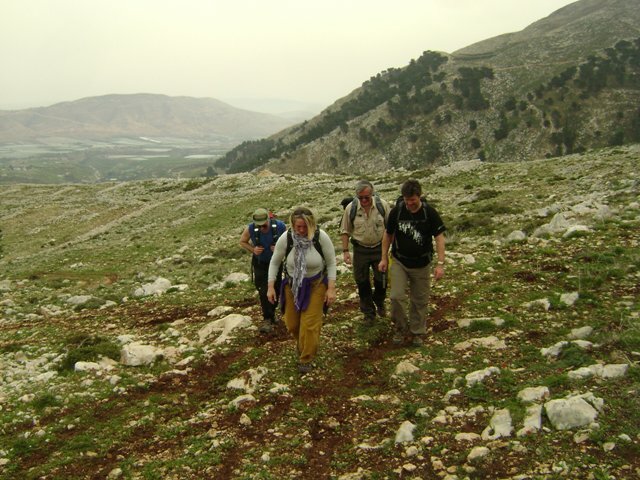 Hike across deep valleys and over high hills inhabited by shepherds before descending a rocky gorge to sea level at Auja Spring, one of the largest water sources in the Jordan valley. Overnight: camping with Bedouin shepherds near Al Auja. Up the spectacular canyon of Wadi Qelt to St. George Koziba monastery, then over the arid mountains of the Bethlehem wilderness to the remote and dramatically situated Nabi Musa. Overnight: Nabi Musa guesthouse or camping. 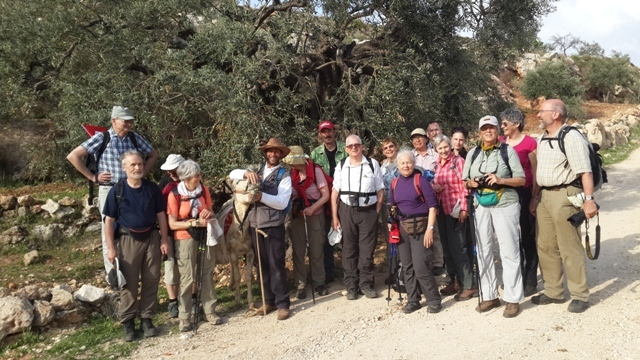 The original Nativity trail from Nabi Musa involved walking along the road, then taking tracks directly through the desert to the legendary orthodox monastery of Mar Saba in its wild canyon setting. The preferred route is now to drive the road, then follow desert tracks via Hyrcania, one of Herod’s mountain-top fortresses. Much more interesting! Overnight: camping outside the monastery, or with local Bedouin. 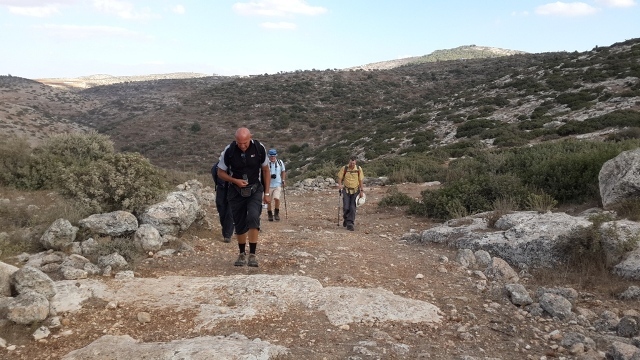 The trail’s final segment ascends the hills of the Bethlehem wilderness to the hilltop suburbs of Bethlehem. The way then ascends on foot or by vehicle through Beit Sahour to Manager Square in Bethlehem and the Church of the Nativity on the site where the original journey ended and the Christian faith has its beginning. Dinner and overnight in Beit Sahour. Accommodations will vary between, guesthouses, hotels, family stay and camping with Bedouins. Support vehicle will be available for the duration of the Walk. The support vehicle will transport your bags to every location you will be staying overnight. Ensure that you update your routine vaccinations. The vaccine against Hepatitis A is also recommended. Beware of the sun. Make sure you cover up with full length clothes, wear a hat and rehydrate very often. Pick up from the crossing border and airports to Nazareth in the first day. Transfer to the airport and crossing borders in the last day.